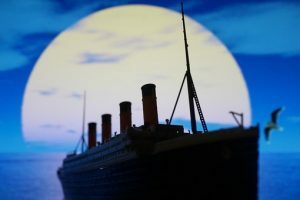 If you’re like me or one of the other of millions who love the story of Titanic, all the details, and of course the movie, than you will love all these tidbits, facts, and interesting things about Titanic. James Cameron’s 1997 movie was by far the most successful movie about the Titanic ever made. Not only did it gross over two million dollars, but it also won 11 Oscars. To boot, the main song of the movie, My Heart Will Go On by Celine Dion was the biggest selling single of 1998, and has been redone by more than one artist. The impact to the ship was unprecedented as the ship was bigger than others and had such a terrible downfall. The bow penetrated 18 meters into the sea bed as it reached its final resting place. The wreck of Titanic was not discovered until 1985. It’s located 370 miles off the coast of Newfoundland, around 12,500 feet below the surface. There were once trips offered to the wreck that cost $59,000 but they have since stopped offering these excursions since 2012. By the end of their searching, only 306 bodies were found. The famous ship that came to Titanic’s rescue, the Carpathia, arrived at 4 a.m. and took the survivors to New York. There were an amazing 40,000 people there to greet the ship. The SS Californian was later criticized for ignoring Titanic’s distress signals. Then, three years later, the Californian was sunk itself by a German submarine. Like in the movie, musicians played for a full two hours and 5 minutes after the ship had sank. Twenty-six of those on Titanic were honeymooning couples. Aww, not a great start to married life. Charles Joughin, the ship’s baker, reportedly trod water for more than two hours before being rescued. He had little to no ill effects and credits being warm to drinking immense amounts of whiskey, pre-sink. When the ship officially broke into two, and started its descent, it was around 2:20 a.m., the night of the sinking. The water temperature would have been about -2C or about 28F. With that temperature, most people wouldn’t have survived longer than 15 minutes in the water, and in fact, one in five people would have died within two minutes due to cold shock. There was a lifeboat drill on April 14th, the day before the sinking, that was cancelled for unknown reasons. During their voyage, the ship received 6 warnings about icebergs. Famous captain Edward Smith’s last words were, “Well boys, you’ve done your duty and done it well. I ask no more of you. I release you. You know the rule of the sea. It’s every man for himself now, and God bless you.” There is a statue of him you can see in Lichfield, Staffordshire. The iceberg that did Titanic in was 100 feet tall and it was part of a glacier from Greenland. It was a short 37 seconds between the sighting of the iceberg and the crash. The last survivor of Titanic was Millvina Dean who died on May 31st, 2009. She was two months old when she survived the sinking of the Titanic. Two of the nine dogs on board were saved, a Pomeranian and a Pekinese. John Jacob Aster IV, the richest man on the ship, went down with the ship. A legend claims he said to a waiter, “I asked for ice, but this is ridiculous”. The last supper served to first-class passengers was an 11 course feast. There were only 23 female crew on board, out of 885. When the ship was launched on May 31st, 1911, 100,000 people showed up to see the ship off. The main anchor was so heavy that it took twenty horses to carry it. The making of the ship was no easy feat either and there were 246 reported injuries and two deaths during the ships 26-month construction period. There were only 16 lifeboats and just four collapsible boats on board the Titanic. 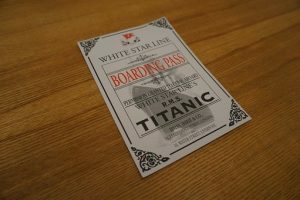 They could carry a maximum of 1,178 people which was only a third of Titanic’s capacity. Though in this time, that was more than was legally required. There were 20,000 bottles of beer on board, 1,500 bottles of wine, and more than 8,000 cigars, all for the first class passengers of course. This incident is infamous in history and still fascinates us all to this day. There are no shortage of books, entertainment, or information regarding the Titanic, and makes us Titanic lovers more than happy.